Car buying can be overwhelming and complicated. Unfortunately, there is a lot of misinformation out there on top of that. If you are ready to buy a car in New Haven, IN, you can have confidence in the team at Glenbrook Dodge Chrysler Jeep® RAM. Working with our dealership staff is easy and convenient, as they are able to answer any questions you have about the car buying experience. 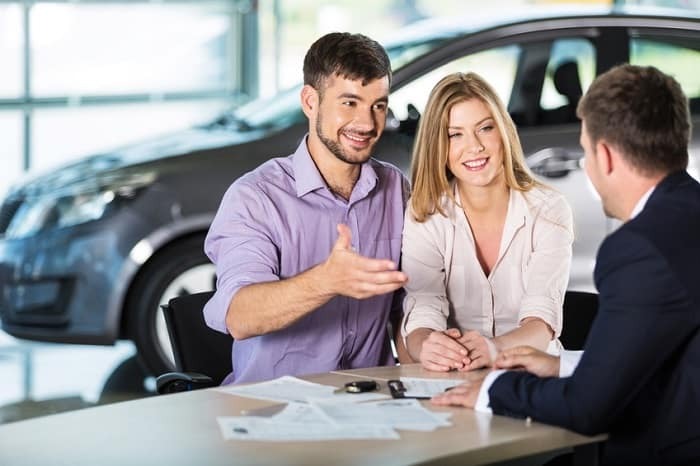 Often, car buyers enter our dealership with a lot of preconceived notions, like they’ll be surrounded by pushy salespeople. That won’t happen at our dealership, however, as making our customers feel as comfortable as possible is one of our many goals. Another common myth is that it’s better to buy a car on a certain day. The day of the week or time of the day isn’t a factor in getting the best deal, neither is the weather outside. At our Dodge dealership near Auburn, we always offer new and used car specials, along with service and parts coupons that you can utilize on your next visit. Some say you find the best deal for used cars online. That’s not always true, and while it can be more convenient to shop online, the great deal you receive is based on the type of car, down payment, credit score, and the duration of financing you settle on here at our car dealership near New Haven. Purchasing a car is an exciting time, but don’t go into the process blindly—there several things to consider. First, will you be trading in a car? How will you know it’s trade value? Will you use it toward your new purchase? You should also set your budget before you shop and make a list of your wants and needs in a vehicle. Decide on a firm number that you can afford and feel comfortable with. If you aren’t searching for a new Dodge Journey or RAM 1500, check out our certified pre-owned selection. If you are ready to purchase one of our new or pre-owned cars for sale in Fort Wayne, IN, please join us at Glenbrook Dodge Chrysler Jeep as soon as today!